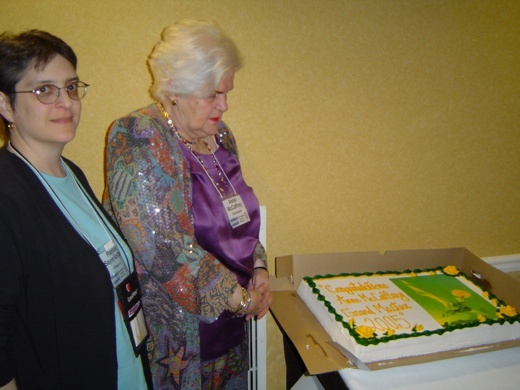 SFWA Grandmaster Anne McCaffrey (1926-2011) died on November 21. McCaffrey’s first published story, “Freedom of the Race” appeared in Science Fiction + in 1953, making McCaffrey one of the last science fiction authors discovered by Hugo Gernsback. Her 1967 novella “Weyr Search” appeared in Analog despite its apparent fantasy basis and introduced readers to one of her most prolific worlds, Pern, and earned McCaffrey a Hugo Award the following year. The follow-up novella “Dragonrider” which also appeared in Analog received a Nebula Award. McCaffrey’s awards marked the first time either award was won by a woman for a work of fiction. These stories formed the basis of the first Pern novel, Dragonflight. Her novel The White Dragon marked the first time a woman made the New York Times Best Seller list for a work of science fiction. In addition to the Pern series, which spawned numerous novels written by McCaffrey and, later, her son, Todd, McCaffrey also wrote The Ship Who Sang, which led to several collaborative novels in that series. 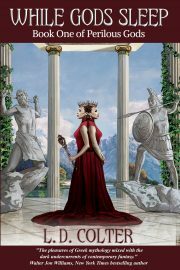 Other series that McCaffrey wrote in, often with collaborators, included the Acorna books, the Catteni Sequence, the Crystal Universe, the Ireta series, and many more. McCaffrey was the Guest of Honor at ConAdian, the 52nd Worldcon, in Winnipeg in 1994. McCaffrey was named a Damon Knight Grandmaster by SFWA in 2005 and the following year she was inducted into the Science Fiction Hall of Fame. Thank you, Anne McCaffrey for introducing me to science fiction and fantasy. 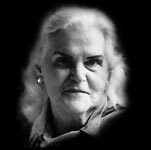 RIP Anne McCaffrey, beloved author. Thank you so much for introducing me to the wonderful world of Pern and its amazing dragon riders. Your work led to my love of science fiction and fantasy, and I’m very grateful to you. May you rest in peace, beloved by so many who delighted in your worlds. Todd, we met briefly at StellarCon, and spoke of aging parents. My thoughts and prayers are with you and your sister now at this difficult time. Asimov, RAH, Zelazny, Clarke, and now Anne. There are just too few of the masters remaining. I only hope God needed help putting Dragons in Heaven! You will be missed! I don’t know where I can post this to get to you but I feel like I need to at minimum express my sadness at your passing. You have changed my life and while that may seem silly your books written from the heart touched a small abused girl and gave her hope. I saw magic and love and immeasurable support pored through your words and I thank you for that. I will treasure your writing always. A true pioneer and master in the field has passed. I remember discovering the dragonrider books when I was still a child and discovering a new kind of science fiction with characters and worlds I could really care about. They started a life long love of the genre. But as great as this loss is to all her fans, her family and personal friends have lost even more. My thoughts are with all of you who knew and loved her best at this time. I feel bereft, I went to Anne’s books for cheering up at sad times, and for fun at other times. You will be very much missed. Wow, what a shock. I have been out of touch for the last week and a half on to check in to find this. Shock. I starte with Ring of Fear and The Kilternan Legacy and found my way to the worlds of dragons, crystal, psionics and selkies. I loved her sci fi, romance and fiction. No one writes like she did. Be you “between” or part of Petybee we wish you could be a brainship and still be with us. You will be greatly missed. So sad to learn of Anne McCaffrey’s death. She was my writing hero and the main reason I write fantasy. The fantasy reader community has lost a extraordinary imagination. Here’s to her last flight ‘between’. Slán Leat a Cara (Goodbye my Friend).